Home / Community / info / What does RO 1,000 in rent get you in Muscat? What does RO 1,000 in rent get you in Muscat? Some 8 years ago, I accepted an offer to relocate to Oman with a company and had asked about rental costs. Back then, there was no information available on the internet really, other than stuff on the Oman Forum (which has died now) and the book Oman Residents guide, which I found in a book store in Toronto and read cover to cover. My future boss (and not my boss any more) straight up lied to me. He told me I could get a Villa in MQ for RO 350 a month. I don't know if any of you remember, but when I landed here in Summer 2007, the demand for rental accommodation was HUGE, and my salary was based on rental costs of RO 350 a month. I eventually found an apartment in Ghubra for RO 500 a month and thought I was lucky at that. 1. A 3 bedroom apartment at Dolphin Village. This property I found on the Cluttons website, and the apartment is RO 975 a month. It gets you access to the club facilities (pool, gym, bar, etc) as well. 2. A 2 bedroom furnished apartment at Muscat Hills. This one is on the Savills website, and is a fully furnished apartment at the golf course community that is Muscat Hills - right across from the airport in Seeb. Again this comes with access to community facilities - RO 1,000. 3. 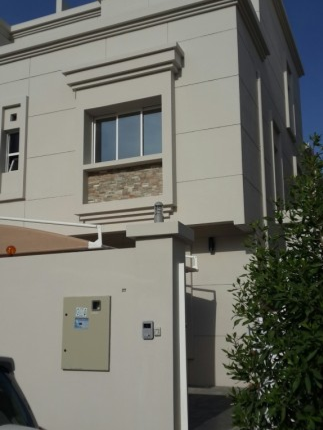 A 4 bedroom detached villa in Al Ansab. This one is from the Better Homes website, and is a fully furnished 4 bedroom villa out in Ansab. Fairly typical 'burbs villa for Muscat, except that it's rare that it's furnished. 4. A 2 bedroom townhouse at The Wave. These are the smallest Town Houses available at The Wave and it's from the Hamptons website, and you can rent it for RO 1,000 a month. There's a private beach and a small retail (mostly restaurants) area called The Walk for you to enjoy, along with a Spinney's branded supermarket. 5. A 6 bedroom villa in Al Hail South. The further out from town you go, the cheaper houses get, that's the usual rule of thumb right? This one is from the Gulf Property World website and is your fairly typical over-sized sand castle to be found in the suburbs. It'll probably be a few years old, perhaps with only one tenant in it before. 6. A brand new 5 bedroom twin-villa in Azaiba/Athaibah/Udhaiba (why can't we just have one spelling)? Azaiba is ex-pat central, seeing as most of us can't afford to live in MQ any more ;) These twin-villas and even some terraced villas are popping up all over Azaiba and parts of Ghubra. This one is from the Engel & Volkers website. 7. 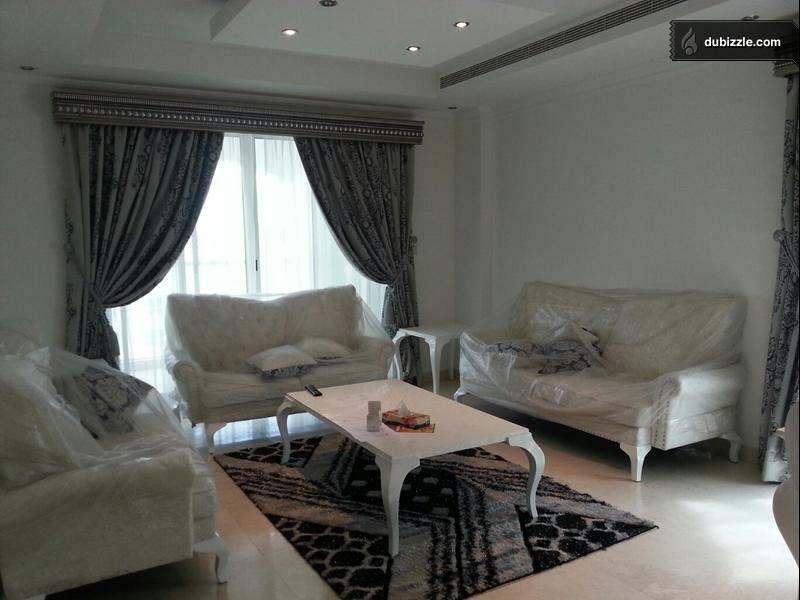 A fully furnished 3 bedroom apartment at MGM in Ghubra. This ones is from the Dubizzle website which is a very good resource for finding all sorts of things locally here in Muscat (and further afield too). From the looks of the pictures the furniture is all brand new too. Well, there you have it, RO 1,000 gets you everything from a 2 bedroom apartment to a 6 bedroom Villa in the City, depending on where you want to live! An awful lot of money I'd say.... if your reading this because you're new to Muscat and are looking for a place to rent - always remember that things can be negotiated - for example, the house I live in was on the market for RO 1,150 a month, we got it for RO 900 a month. Just for a bit of comparison, RO 1,000 gets you a 10 bedroom monster in Salalah, and RO 200 can get you a 3 bedroom brand new apartment in Salalah. Could you do one for 350? Please? LOL! Rent in Al hail for 1000RO???? Dalz R: I rented a flat in Al Hail 280 (2 bedroom, majlis, living room, 3 bath, kitchen) so that's the prices these days. I left though because the landlord raised the rent and didn't kill bugs that wer einvading (gross). And it was soooooo old (apartment/flat). I am renting now in the same area but behind the same street 250 for two bedroom, 2 bath, 1 living room and (small!) kitchen with a very small yard (detached house). Mabaila: 260 OMR for 3 bedrooms, two living room flat or 2 bedroom twin villa one storey house on small land with dirt yard. MQ: I had a roomate and paid 250 OMR a month for two bedroom, one bathroom and small small kitchen flat (and the other girls +2 also paid 200-250). In Barka;): I had a two bedroom, 1 bath, and small kitchen house for 120omr (included water and electricty) and a big courtyard. For 200 in Barka my friends had a 4 bedroom 4 bath, 2 majlis house witha yard. in al ansab: 300 for a 3 bedroom , 5 bathroom (only 2 work;) ) house with 2 majlis and small (dirt) yard, or large interlock yard. These have been my renting experience in the last couple years. Prices have gone up in some areas but I've still found the same places. But then, we always phone the landlord in Arabic. OPNO, thanks! But I'm trying to move back closer to the city. Currently just past Al Ansab paying 275. But we're not used to the isolation. Headed to Wattayah in a couple of weeks for 350. Very few are willing to budge on rents. There are those hidden gems though for good rates that look fantastic.